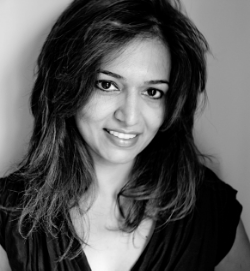 As founder and creative force, Parul Kuki Seth drew on her extensive experience as a Gemologist and expert appraiser to successfully launch Parulina in February 2003 to a discerning group of boutiques and private clientele. In her work, it is Kuki’s devotion to nature and her genuine appreciation and respect for all living creatures that provide the inspiration for her extraordinary jewelry. And it is precisely these influences that drive her to be mindful of humanity’s impact on the environment when designing. As such, each piece is created using beautiful reclaimed gold and sincere efforts are made to ensure that all stones are conflict free as well as unheated in order to maintain their natural integrity. If requested, the signature stones in each item can be sourced to country of origin. In addition to the other Parulina collections, Kuki Seth also caters to private clientele with her Bespoke Collection. By private appointment, clients are invited to peruse the designer's exquisite collections of hand refurbished Art Deco and Indian jewelry or to discuss opportunities for more customized services such as engagement pieces.